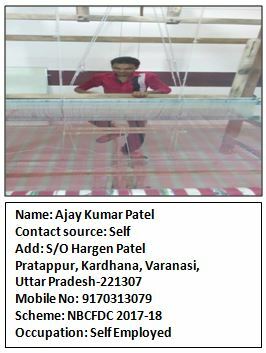 I am Ajay Kumar Patel, belong to economically backward family with an income of 5000/- to 6000/- per month which was difficult for us to sustain. One day I saw advertisement in news paper about free Skill Development Training -Two Shaft Handloom Weaver course by Surabhi Skills Pvt. Limited. 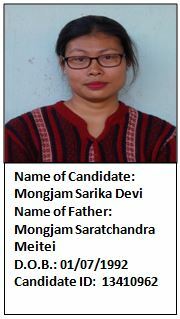 Surabhi Skill Centre was nearby my area so I joined the course – Two Shaft Handloom Weaver in year 2017-18 under NBCFDC / Textile Sector Skill Council from Surabhi Skill Centre run by Surabhi Skills Pvt. Ltd. Varanasi, Uttar Pradesh. After completing the courses I started my own self weaving business with the help of my family and friends. I purchase raw materials from nearby wholesale market. Ready material stuff is sold to retailer of the area from which we get a monthly income of 25000/- to 30000/- minimum. Now the link between me and retailer is easy as I supply material in bulk. I was a simple weaver and I work for the local small entrepreneur they provide yarn and we made the fabric according to them. We got only the wages like @60 per day. I very keen to become an entrepreneur but I don’t have enough knowledge to be an entrepreneur that’s my weakness. One of my dreams was to become an entrepreneur. It was excellent for me to attend the Up-Skilling Training class under NBCFDC SDTP 2017-18. I got lots of knowledge about Entrepreneur, Marketing, Soft Skill, Quality of Handloom Products etc. Now I have established my own entrepreneur and it is registered to MSME and I got lots of order through Chanu Creations and local markets. Now I am more confident about supporting my family and living a satisfactory life. I am heartily thankful to the team of Chanu Creations, NBCFDC & TSC for making one of my dreams come true. 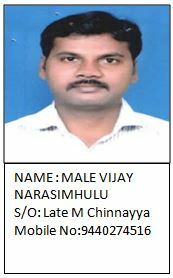 My name is Male Vijay Narasimhulu, my father name is M Chinnaiah. Our profession is hand loom weaving, we lead our life with hand looms but we don’t have proper working skills in weaving, So we earned money 1200 per week. In previous days we face so many financial problems in weaving. We don’t have any support from any one, at that time we seen a Advertisement which is NBCFDC training for the hand looming weavers. We enquired about the trainings and attended the classes for handloom weavers. We successfully completed our trainings on 26/12/2016 To 22/02/2017. In that trainings we learned more skills on work and we have more confidence in life how to earned money. Now we are earning 1500 to 1600 per week. Now we are so happy. I heartily thanks to NBCFDC Board and TSC, to given such a wonderful training programs for hand loom weavers.